During her teen years, Laura and her family went about the daily routine of cooking meals, working in the garden, mowing hay, looking after the animals, cutting wood and all the chores that were part of early farm life on the prairies. Because they were so close to Birch Lake, the kids had many fond memories of swimming and boating on those hot summer days when they could sneak away from their daily chores. Always a homebody, Laura traveled for the first time, at age 16, to work on a family farm outside Battleford looking after five kids under the age of four. She became so homesick after a couple of weeks that her dad traveled to Battleford in his Model T to pick her up. Her next job was working as a cook for a road construction crew as they rebuilt Highway 55 (now Hwy 3) out of Glaslyn. When Laura was 21, the family suffered a double tragedy when her brother, Leonard, then twenty-five, was drowned in the Shuswap River while trying to save a friend’s life after the friend had fallen from a log boom on which they were working. While the whole family grieved over the loss, their father Bill took the death particularly hard. Later that winter he contracted scarlet fever and, tragically, in the early spring of 1940, he died at the age of 51 just a few months before Laura married Dave McNeill. Following the death of her son and husband, life for her mother and the family became very difficult. Shirley was barely two, Helen and Marcia were five and seven and Tonnie had just turned ten. Melvin returned home to help his mom, followed later by Clifford who had served in the military until the end of the Second World War. In order to help make ends meet, Lilly, Helen and Marcia worked on neighbouring farm but the nearly all the money they earned was deducted for room and board and any remaining, which was pitifully little, was deducted from her meager widow’s pension of $30 per month. 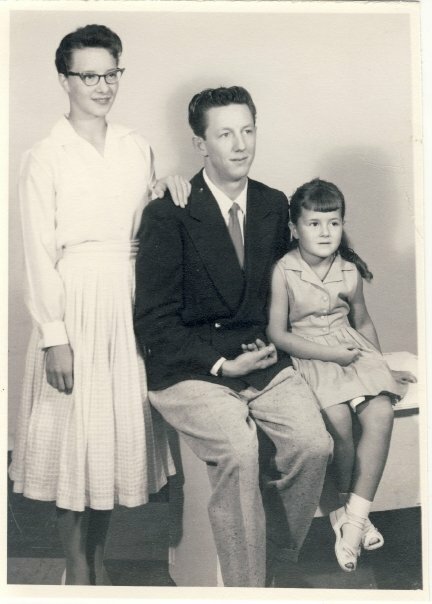 On June 24, 1940, Laura married Dave and, while living in the home Dave built at Birch Lake, they had two children, Harold (1941) and Louise (1943). In October 1944, the adventure and promise of a new life led Dave and Laura along with their two children, to Cold Lake, Alberta. Over the following years, the couple worked in a logging camp (Martineau River), mink ranches (Smith place on Cold Lake, then Marie Lake) and later on road construction and on farms at various locations around Alberta. Laura became a master cook and her pastry skills were second to none. Over her life she mentored her entire extended family in the culinary arts. 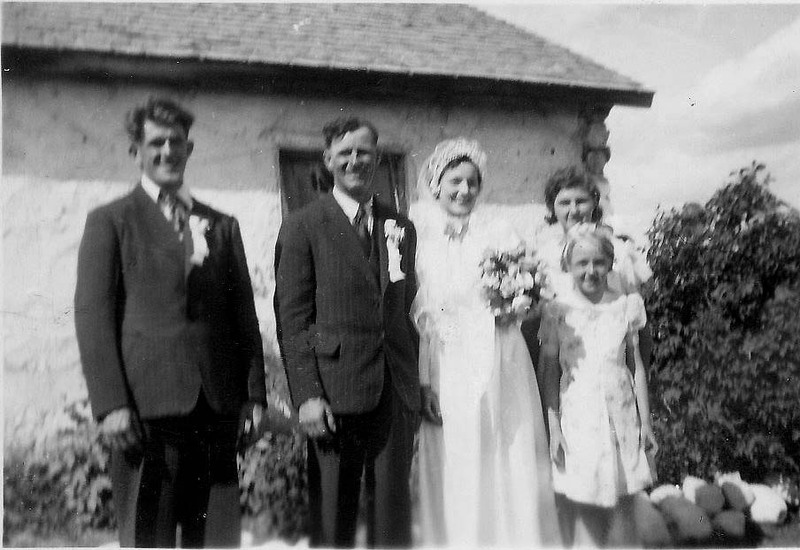 Photo: Mom and Dad on their wedding day with Davie and Tinnie Lockheart and flower girl Joyce Hayden. Standing outside mom’s family home. Life in the often remote areas was not without hardship or danger. While at the Martineau Camp, Louise became very ill with Erysipelas and nearly died before reaching the hospital in Cold Lake. The trip to hospital was extremely difficult as the roads were blocked with many snowdrifts and for the first twelve miles they had to use horses to pull the truck. Then, a year later, at Cold Lake, Louise very nearly drowned after falling off a wharf on which she and Harold were playing. If not for the quick action of her mother, who pulled Louise from the water and quickly performed artificial respiration, Louise would not have survived. At Marie Lake, in the summer of I947, Laura was seriously burned when the cook stove exploded while she building a fire to make coffee for Dave. The explosion set all her clothes on fire and she only managed to put out the flames by running outside and rolling in the sand of their lakefront home. The trip to hospital, nearly 30 miles away by boat, then car, on a very rough road was one of the most harrowing experiences in her young life. After her return home, life continued at Marie Lake and Laura took on a new role – that of teacher – first to Harold and then Louise as they completed their early years of education. It was in Edmonton that Laura began work for the first time in a large department store and became somewhat accustomed to life in the big city. As usual, Laura was able to quickly make new friends. Mabel Pester, who lived directly across the street with her family, and Laura, maintained a friendship that continued until Mabel passed away a few years before Laura. The time in Edmonton was all to brief when, in 1950, Dave was offered a job in the small community of Pibrock where Laura and Dave both worked on the Murfitt farm. This came to an end when the farm was sold to a Hutterite Colony. The family then moved to LacLaBiche where Dave re-entered the mink ranching business. It was during this time Laura renewed her lifelong friendship with Edna Gatsky, with whom she had become such close friends while at the Martineau River Logging Camp. In I953, the family returned to Cold Lake in what was their last major move. 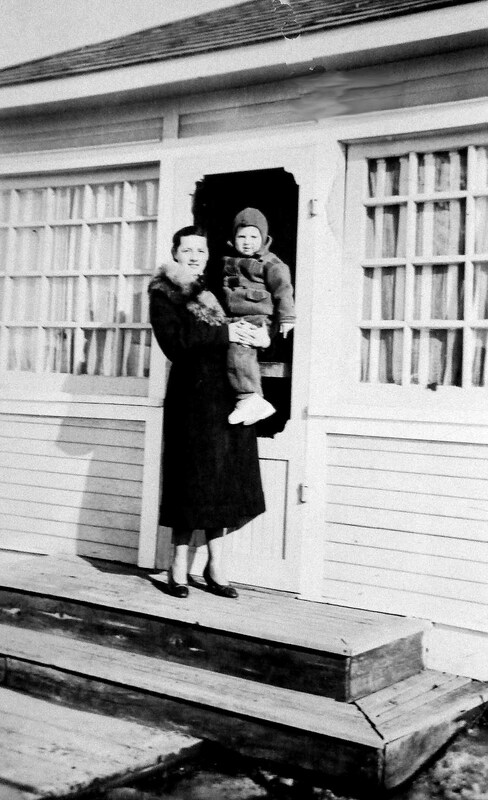 Both Laura and Dave took up employment at the Cold Lake Airbase and, while it was clear Laura was not going to match her mother in numbers of children, she became a proud mother for a third time when Dianne was born in 1954 . At the Cold Lake Airbase, Laura, who was always a popular and skilled employee, worked her way through a variety of cooking assignments in the military mess halls until eventually landing at the base hospital from which she retired in 1979. It was not long after Harold moved to Victoria in the sixties that Laura’s husband of 25 years, David Benjamin McNeill, passed away. While those early years with Dave were defined by his wanderlust, Dave was another of those early pioneers who worked hard, played hard and touched a lot of people along the way with the loving and caring side of his personality. He was well known as the life of any party and true to his family background, and, for that matter, many who pioneered the west, nurtured a real love for music and dance. Hello, I just started reading this as had this email written down. Howard & Myrtle Wheeler are my husband’s parents. This is very interesting and will share with others in the family. Am not on facebook though, so may not get any other information about the stories. Am doing family tree on the Wheeler family.